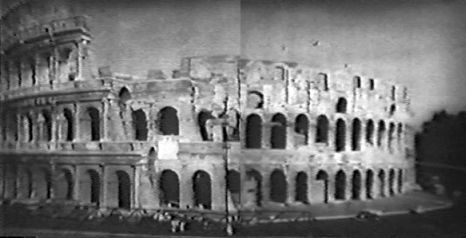 Episode 35: "A Bowl by Cellini"
A British tourist, Archibald Meeker, visiting the Colosseum in Rome, is told by a souvenir vendor that he should purchase a good luck charm as it is Friday the 13th. This news causes the tourist to hurry off as he exclaims "Friday the 13th? This is MURDER!" Finding him at the entrance of a closed gift shop, the souvenir seller finds that the gentleman had forgotten that Friday the 13th marks the 25th wedding anniversary of his marriage to his domineering wife, Martha. As the shops will not reopen until the next day, the vendor lets Mr. Meeker know that he has a valuable old bowl that has been in his family since the year 1600, and that he would be willing to part with is for the right price. Though hesitant, the Meeker leaves with the seller to take a look at it. Following the vendor to a shabby part of town, he is offered a plain looking, tarnished bowl for a high price, 50,000 lire. Stating he only has a fraction of that amount with him, the seller grabs the money, amounting to 20,000 lire, and, handing the bowl to the confused Mr. Meeker states, "Your wife will treasure it until her dying day." Back at their hotel, Martha lets Archibald know her displeasure about his gift under no uncertain terms, calling the bowl a piece of junk. She demands that he take it back the next day, though Meeker notes that he is uncertain as to how to locate the seller’s home again, as he sheepishly complies with her order. The next morning, Meeker visits a jewelry shop and asks the shopkeeper what he could offer for the bowl. Immediately noticing the presence of a bold "C" marking on the bowl, the shopkeeper says he will pay 700,000 lire for it. Taking Meeker's stunned surprise as a refusal, he ups his offer to 800,000. Charlie Chan, who happens to be in the shop looking for a watch, has overheard the conversation and suggests that the bowl is probably worth even more. Meeker, mentioning that he only paid 20,000 for it, expresses his concern for the man who sold it to him for such a low price out of ignorance. An impressed Chan declares, "Frankly, I feel that Diogenes search for his honest man in the wrong century." Introducing himself, the detective offers to help Meeker find the souvenir seller's home. Chan then volunteers to help Mr. Meeker find the seller of the bowl. 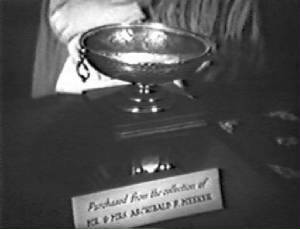 As they depart, the shopkeeper, obviously displeased, makes a telephone call to an accomplice informing him of the "nearly priceless" bowl in Meeker’s possession that could only have come from Roberto, the souvenir vendor, who, it seems has double-crossed them. The shopkeeper, Rollo, tells him to stop Chan and Meeker from locating Roberto. Searching for Roberto's residence, Chan and Meeker comb the streets of the area where Meeker recalls he walked the day before. Finally locating the door to Roberto's home, Chan knocks. Opening the door, a man appears who identifies himself as Roberto Ricci. Meeker states that this is not the same man who sold him the bowl. Chan and Meeker are then invited into the house. Inside, Meeker is surprised at the condition of the home which would not match the type of dwelling that a "shabby little man" such as the souvenir seller would have lived in. Ricci states that no one but him has lived in the house. As meeker had mentioned the bowl, Ricci tells him that it is not uncommon for tourists to be taken in by such shady sellers. However, Meeker informs him that the bowl is genuine. Seeing the bowl, Ricci says that he will be happy to pay twice the amount that Meeker paid for it. Stating that he has been offered many times that amount already, Chan steps in and suggests that such an obvious heirloom should be examined by the curator of the Roman National Museum in order to track down its rightful owner. As they leave, Meeker swears that that was the house where the souvenir seller lived, but adds that he may have been mistaken. Chan is not so sure. Out of the shadows appears the souvenir seller, Guido, who enters the house to a furious Ricci who pummels him, calling him a fool for having sold the real bowl rather than one of many fakes that are kept in the house. He sends Guido out with one of the fake bowls telling him to stop Chan and Meeker, making a switch for the real bowl if necessary. As Guido leaves, with the fake bowl, he is grabbed and pulled into a recess in the narrow dark street where he is assailed. Out from the shadows emerges the man whom Rollo had earlier spoken over the telephone, who departs with the bowl that had been carried by Guido. At the National Museum, Charlie Chan meets with the curator and shows him the bowl. Shocked to hear the small price that Meeker paid for it, the curator tells him that it is worth a great fortune as it was an original produced by the famed artist sixteenth century artist Benvenuto Cellini. Upon Chan’s mention of the name Roberto Ricci, the curator verifies that he is a noted collector of antiques and art objects who will sell to others but will not refuse to guarantee authenticity. Chan then fills in the missing pieces by stating that Ricci will have an expert examine the true Cellini bowl and, after declaring its authenticity, a fake will be deftly substituted for the real bowl. Chan relates how the souvenir seller, Guido, had intended to sell a fake bowl to Mr. Meeker, but had sold the original Cellini bowl by mistake. The detective informs Meeker that the bowl is legally his and that he should discuss with his wife, Martha, what she would like to do with it. Chan leaves Mr. meeker on the steps of the National Museum as he departs to meet with the authorities. Soon, a man, the same one who had earlier assaulted Guido, bumps into Meeker, whom he pretends to recognize. He introduces himself to a perplexed Meeker as Count Veschi, claiming to have met him previously in London. 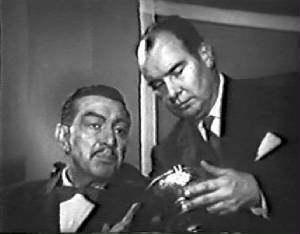 Informing Meeker that his fame has spread throughout Rome due to his purchase of the Cellini bowl, the "Count" asks to take a closer look at the bowl. While pretending to examine the bowl, Bernini switches it with the fake bowl that he had taken earlier from Guido. After the man leaves, Meeker, proudly gazing at his bowl, is shocked to note that the "C", the mark of Cellini, is no longer visible on the bowl, and he realizes that he has been tricked. 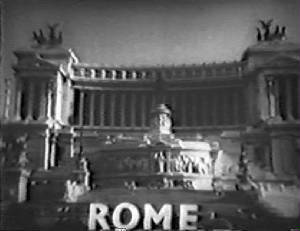 As Chan meets with Inspector Galvani of the Rome police, he explains the situation and the intrigue surrounding the Cellini bowl. A telephone call for Chan proves to be Meeker who tells the detective of the theft. As Inspector Galvani listens in, Meeker’s description of "Count Veschi" matches that of a known thief named Bernini who had worked with Ricci. Knowing where to find him, Galvani and Chan leave to confront Bernini. However, upon arrival at his residence, they find the thief dead, a victim of strangulation, and the bowl is missing. Chan notes that a fragrance lingering in the room has provided a valuable clue. When Chan and Galvani find Guido at Ricci's home, the detective states that from the smell of perfume in the room, Ricci has been there. Guido informs him that Ricci has been gone for some time. Noting that Guido has a blackened eye, and surmising that Ricci had lashed out at Guido in anger for his earlier mistake, Guido tells him that it was actually Bernini who had struck him. When Chan confronts Guido with the murder of Bernini, Guido, stunned by the news, denies any involvement. He does admit to having told Ricci about his earlier beating by Bernini. Chan, realizing that the true Cellini bowl is not present in the house, Chan has Guido show him the collection of fakes. Suddenly, Ricci enters the room and holds Inspector Galvani, Chan, and Guido at gunpoint, stating his intention to kill them all. As Ricci tells Chan to turn around and face him, the detective slowly obliges, then quickly grabs ahold of Guido, tossing him into Ricci, enabling him to disarm and subdue the killer. 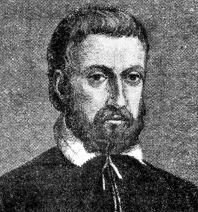 Chan then turns the thieves over to the custody of Galvani as he leaves with the Cellini bowl. With their Cellini bowl having been purchased by the National Museum, the Meekers are now wealthy and happy together with Mr. meeker no longer playing second fiddle to his now more humble, no longer overbearing wife. Chan congratulates the couple on their good fortune and adds, pointing to the Cellini bowl on display, "May your bowl of happiness be as genuine as this one." Victor Emmanuel II Monument (Altare della Patria) – A monument in Rome commemorating the first king of a united Italy, Victor Emmanuel II. The monument was designed by Giuseppe Sacconi in 1885 and was completed in 1925. Colosseum – The largest amphitheater ever built, construction of the Colosseum in Rome was begun in 72 A.D. during the reign of the emperor Vespasian and was completed in the year 80 under the emperor Titus. The Colosseum could accommodate between 50,000 and 80,000 spectators and hosted such events as gladiatorial contests, mock sea battles, animal hunts, executions, re-enactments of famous battles, and dramatic productions. Trevi Fountain – This famous fountain is located in the Trevi district of Rome. In 1629, Pope Urban VIII asked artist and architect Gian Lorenzo Bernini to design a fountain to replace the ancient one that had been located at the site for centuries. 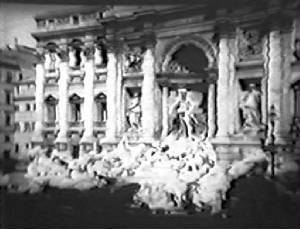 When the pope died, the project was abandoned, but the completion of the fountain was finally realized in the year 1762 by Giuseppe Pannini. National Roman Museum – A museum with several branches in separate buildings that are spread throughout the city of Rome. 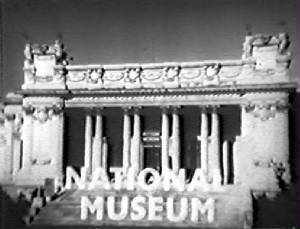 Founded in 1889, the National Roman Museum was originally established to house the archeological artifacts that were unearthed during excavations in Rome. The building visited by Charlie Chan and Archibald Meeker is the National gallery of Modern Art (Galeria Nazionale d’Arte Moderna) which was founded in 1883. Archibald Meeker (to Charlie Chan): "Oh, yes, I’ve heard of you, Mr. Chan." National Museum Curator (to Charlie Chan): "This is an honor, Signor Chan. Your name is well known even to those of us who are, well, somewhat removed from the twentieth century." Charlie Chan (to National Museum Curator): "Would you please explain why bowl is so valuable?" National Museum Curator (to Charlie Chan): "Because it is by Benvenuto Cellini." Archibald Meeker (to National museum Curator): "Who is he?" National Museum Curator (to Archibald Meeker): "The greatest worker of metals of the sixteenth century, and perhaps of all time." Benvenuto Cellini - (1500-1571) A famed Italian artist, soldier, musician, and writer who wrote a famous autobiography and poetry. Besides his works in gold and silver, Cellini executed sculptures of a grander scale. Everything comes to an end sooner or later.